Take Four Courses For Free! You need this information. That’s why we’re offering the first four Law-4-Docs.com Courses for free. Want full access to all course videos plus our 30+ page e-book? At only $59.95, that’s over 50% off. Our free newsletters will help you understand and begin to take action to to reduce your liability risk. 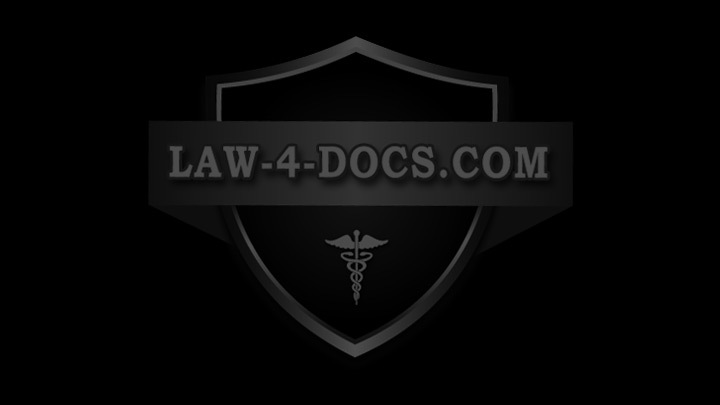 Law-4-Docs is an online resource designed to educate healthcare professionals about malpractice and how to reduce liability risk. We give you clinical and legal pearls that insurance companies and lawyers don’t always volunteer. The tools are helpful both to providers who are involved in a legal process and those fortunate enough to not have yet had to deal with a claim. In the spirit of preventive medicine, we feel both sets of practitioners have incentive to learn about malpractice and protecting their livelihood and career.